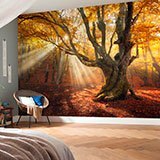 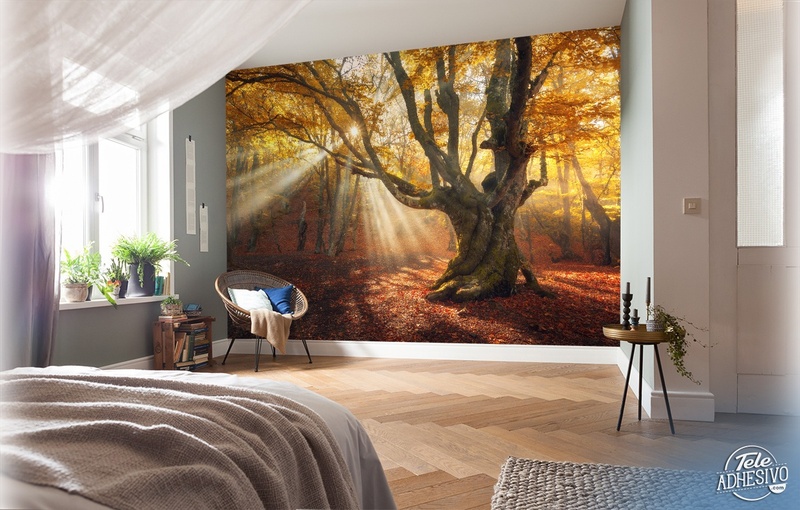 Wall mural Big Oak in autumn. 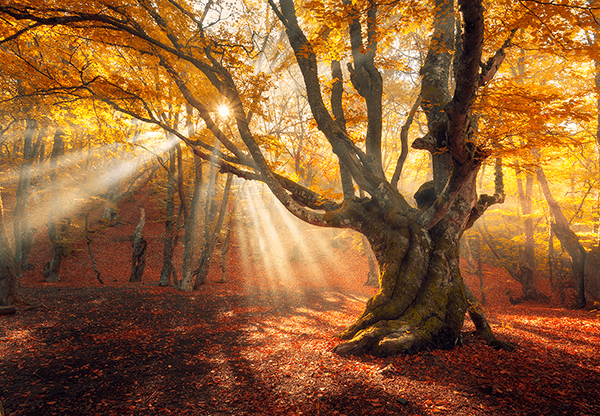 Spectacular photograph of a grandiose and twisted oak in the middle of autumn, with the sun shining through the forest. 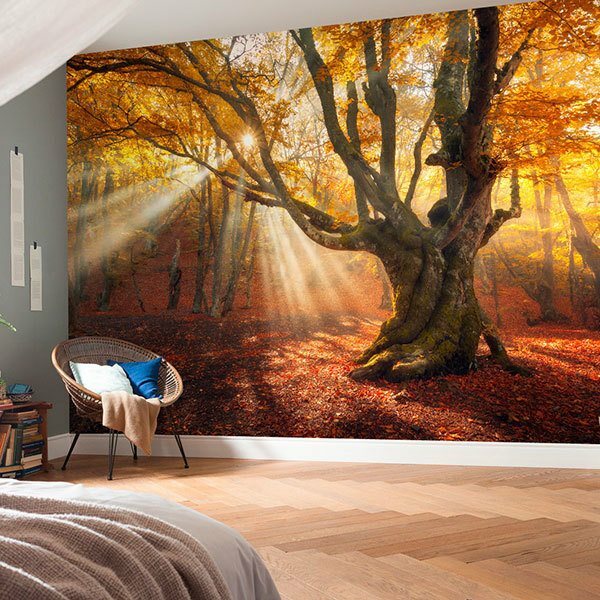 The yellow and red leaves create a combination of warm colors to decorate any room in the house with an incredible result.